There is no information on the Ads Residual website indicating who owns or runs the business. The Ads Residual website domain (“ads-residual.com”) was registered on the 6th of October 2016, however the domain registration is set to private. At the time of publication Alexa estimates that France is the largest source of traffic to the Ads Residual website (48%). This suggests that whoever is running Ads Residual is also likely based out of France. Ads Residual has no retailable products or services, with affiliates only able to market Ads Residual affiliate membership itself. Bundled with Ads Residual affiliate membership are ad credits, which can be used to display advertising on the Ads Residual website. The Ads Residual compensation plan sees affiliates pay $50 a month and get paid to recruit others who do the same. Note that Ads Residual affiliates can only withdraw 60% of commissions paid at any given time. Ads Residual affiliates earn a 10% monthly commission on fees paid by affiliates they personally recruit. These two positions form the first level of the binary team. The second level is generated by splitting each of the two positions into another two positions each (4 positions). Subsequent levels of the binary team are generated as required, with each new position housing twice as many positions as the previous level. At the end of each day Ads Residual tallies up membership fees paid by affiliates on each side of the binary team. Funds are matched using a 1:1 ratio, with an affiliate paid 10% of matched funds. Unmatched funds on the stronger binary side are carried over when the process repeats itself the next day. A unilevel compensation structure places an As Residual affiliate at the top of a unilevel team. If any of these level 1 affiliates go on to recruit new affiliates of their own, they are placed on level 2 of the original affiliate’s unilevel team. Ads Residual cap payable unilevel levels at eighteen. Affiliates paid $1 per affiliate placed in their unilevel team across these eighteen levels. Ads Residual affiliate membership is $50 every thirty days. With nothing marketed to or sold to retail customers, Ads Residual shuffles fees paid by affiliates to those who recruit the most. 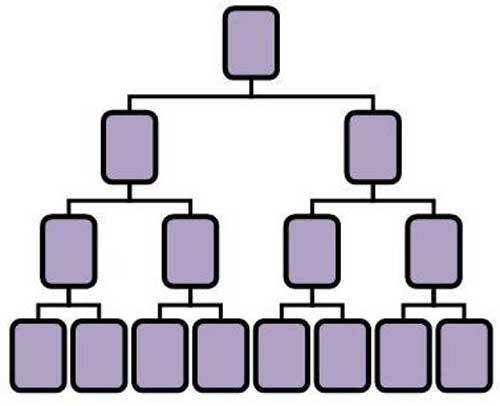 In MLM this is otherwise known as a pyramid scheme. A new Ads Residual affiliate signs up and pays $50. They then earn commissions by recruiting other affiliates who do the same. The fees paid by newly recruited affiliates fund commissions paid out, creating a closed-loop of chain-recruitment. The ad credits bundled to Ads Residual affiliate fees are neither here nor there, serving only as pseudo-compliance in an attempt to justify pyramid recruitment. As with all pyramid schemes, once recruitment of new affiliates dies down Ads Residual will collapse. At that point affiliates who haven’t recouped their monthly $50 fees by scamming enough people lose out. Statistically this will be the majority of Ads Residual affiliates.